Confused About Curriculum Choices and Overwhelmed by Product Searches? Home Ed Expert Advisor is a powerful tool developed by home schooling specialists to help you find the curricula and resources that best fit your goals, preferences and teaching style, as well as your students' unique requirements, needs and learning styles. 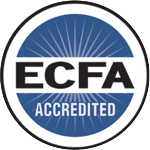 Our curriculum team is led by Cathy Duffy, noted curriculum expert and author of 100 Top Picks for Homeschool Curriculum. The proprietary system not only leads you to the teaching and learning products that match your situation, it also enables you to purchase those items at the best discounts with just one click. Home Ed Shopper Express, a speedy search of Abe Books, Alibis, Amazon, Biblio, Buy.com, Christian Book Distributors, eBay and Half.com; a free service to help you find the cheapest prices on new and used titles. The extensive database also provides input and insight on related products, such as ancillaries, parent helps, and supplements, as well as related core curriculum. "We are pleased to have you test the tool suite in the FREE 30 Day Sample Trial of Home Ed Expert Advisor, and look forward to your feedback and testimony... so that we may continually improve. During your trial, you will be limited to one student profile, and one subject area Spelling, for whom you'll receive Expert Product Recommendations. If you wish to extend your usage prior to expiration, please provide payment instructions through HSLDA Store; purchase one or more Single Student subscriptions, one for each student you are teaching; if you're teaching four (4) or more (up to 10) students, the Family Membership is the most economical. Each profile enables you to obtain customized Expert Product Recommendations for each student." For more information, please visit HomeEdExpert.com. 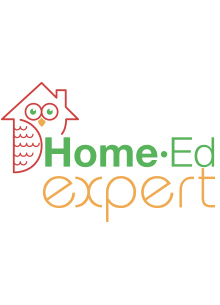 Note: You will receive your HomeEd Expert access key/coupon code in second email within 30 minutes of placing order. From Anonymous of Palm Harbor, Florida on 6/5/2016 . From Anonymous of Gates, North Carolina on 3/21/2016 .